From full truckloads, to single air freight shipments, KelTrans seamlessly offers THE best solution for its clients. Unlike many of the larger brokers, KelTrans offers a single point of contact 24/7 for any and all freight needs. KelTrans provides its customers with a win-win customer experience due to our open communication, visibility and specific custom solutions offered. KelTrans prides itself on integrity, honesty and service solutions. Whether you are a customer, carrier or an outside vendor, you will always be greeted with professionalism and an exceptional level of service. 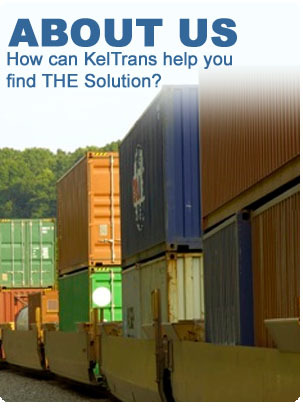 KelTrans strives on offering streamlined solutions to exceed our customers' needs. As a non-asset based company, we are able to leverage our extensive network of carrier relationships to offer our customers THE best solution for their needs without being constrained to a specific fleet, by capacity limitations or costly overhead. To learn more about KelTrans Freight Solutions email us today! Click here to request a freight quote online.